Welcome to the Lottie Doll Giveaway! Do you know a little boy or little girl who loves dolls? Then you'll definitely want to check out the Lottie Dolls line! With a variety of interests ranging from nature photography to journalism, ballet to kite flying, you are sure to find a doll that grabs your child's interest! What is a girl without some accessories? You can also purchase extra outfits and even pets, a scooter, picnic set and more for your Lottie or Finn dolls. To check out all of the items Arklu has to offer in the Lottie Doll line, be sure to visit their website and sign up for Club Lottie for special deals and announcements! For a firsthand experience with Lottie Dolls, please head over to Mixed Bag Mama's review. Time for the fun part! 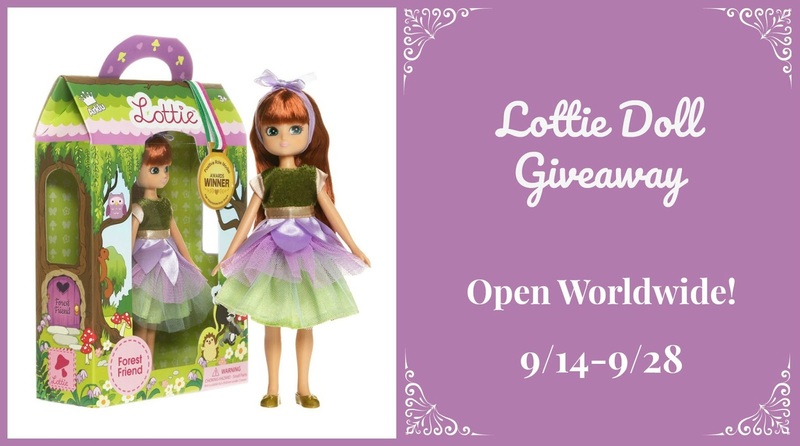 Simply enter the giveaway form below for a chance to win your own Lottie Doll ($25 value or under). Open worldwide! Good luck! Arklu is responsible for prize shipment. All promoting blogs were not compensated for sharing. This giveaway is not associated with any social media platforms including, but not limited to, Facebook, Twitter, Pinterest, Instagram, and YouTube.